Sweden has launched its largest military exercise in 23 years, with several NATO countries taking part. The drills come just before the Russia-Belarus Zapad 2017 exercises, which involve fewer troops, but stir much more controversy. The Aurora 17 drills, set to take place over the course of three weeks, involve a scenario in which Stockholm and the crucial island of Gotland are under attack by a foreign military. “If you control Gotland, you have control over the sea and the airways towards the Baltic states,” Swedish Defense Minister Peter Hultqvist told the Financial Times on Friday, referring to the island which is located not too far from the Russian enclave of Kaliningrad. 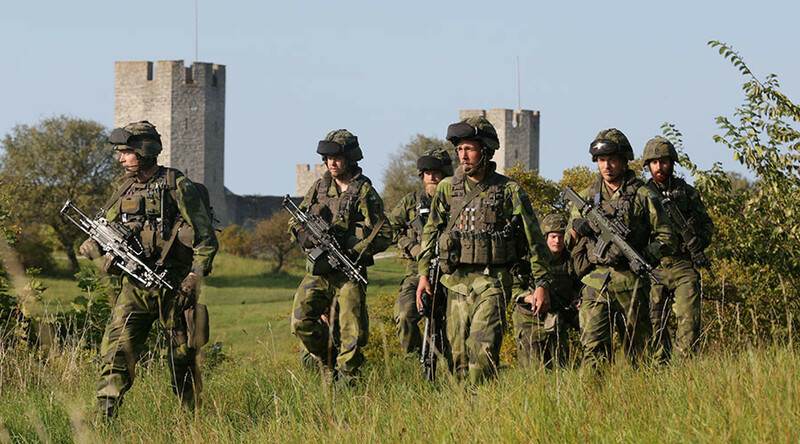 The massive exercise will include 20,000 troops, 90 percent of whom are Swedish. The drills will see almost half of the country’s armed forces “on the move,” according to an organizing officer cited by Newsweek. Around 2,000 foreign troops are also taking part in the drills, more than 1,400 of whom are from the US, according to Sydöstran newspaper. NATO members Denmark, Estonia, France, Lithuania, and Norway are also participating, as well as non-aligned Finland. According to the Swedish military, the drills are designed “to deter potential attackers, and force them to carefully consider the risks of attacking our country,” AP reported. “It’s about handling the realities of the security situation in our part of Europe. It’s an important signal to the Swedish population and also to other countries and partners that we take this security situation seriously,” Hultqvist said. It comes after the Swedish Armed Forces wrote in a July statement that “several other countries” had been invited to take part in the drills to enhance “Sweden’s defense capability against a larger, sophisticated opponent,” in what appeared to be a reference to Russia. Lieutenant-General Ben Hodges, commander of US Army forces in Europe, also said in July that “Russia has changed the security environment,” adding that the US and its NATO allies “have to react to that,” Dagens Nyheter newspaper reported. The fact that so many NATO members are taking part in the drills has once again cast the spotlight on the possibility of Sweden joining the alliance, with the topic of membership set to be a contentious one in the country’s 2018 election. If the opposition moderates and their three center-right allies get their way, NATO membership will occur, ending more than 100 years of the country being outside a military coalition. Russia has voiced concern over Sweden joining NATO, with President Vladimir Putin warning in early June that Moscow would be forced to take additional security measures if Stockholm decided to join the alliance. Putin went on to stress that Russia does not pose any threat to Sweden and does not plan to do so in the future. 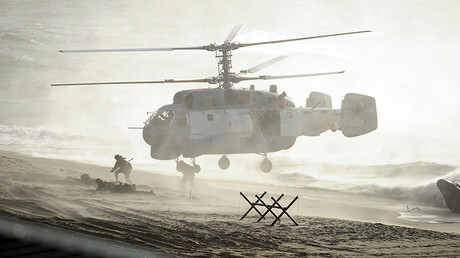 NATO has been staging drills on Russia’s doorstep, including large-scale NATO Black Sea drills in Ukraine in July, which involved British and Turkish military vessels. That exercise followed the massive ‘Sea Breeze’ war games in the same area. 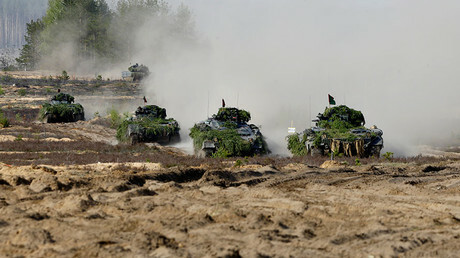 In June, 5,300 troops from 10 NATO countries took part in the ‘Iron Wolf’ military drills in Lithuania, aiming to deter the “Russian threat.” Part of the drills took place on a patch of land in the Suwalki Gap, which borders Kaliningrad. Meanwhile, Russia and Belarus are set to begin their Zapad 2017 war games on Thursday, which will involve up to 12,700 troops, 70 aircraft, and nearly 700 land vehicles. NATO has slammed this year’s Zapad drills, with Hodges referring to it as a “Trojan horse,” and noting suspicions that the war games could be used to move forces and equipment closer to NATO’s eastern flank. Both Moscow and Minsk have denied this speculation, saying the drills are purely defensive in nature and pose no threat to any other nation. 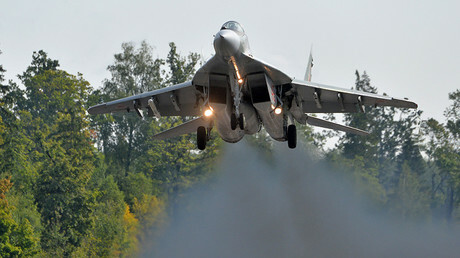 Moscow has also stressed that the number of forces deployed for the drills will not exceed the limits for mandatory monitoring under the 2011 Vienna document, while Belarus has invited international monitors to observe the active phase of the drills. The latest round of controversy concerning the coming Russia-Belarus drills was last week, when German Defense Minister Ursula von der Leyen claimed that the Zapad 2017 war games would involve over 100,000 troops. Russian Defense Ministry spokesman Major-General Igor Konashenkov said it was strange the Germans chose to voice an alleged figure, after they were provided with the real one. “The German side has timely received and does have comprehensive information of the concept, defensive nature and true figure of the Russian troops engaged in the Zapad 2017 exercise,” the major-general said in the statement on Saturday.